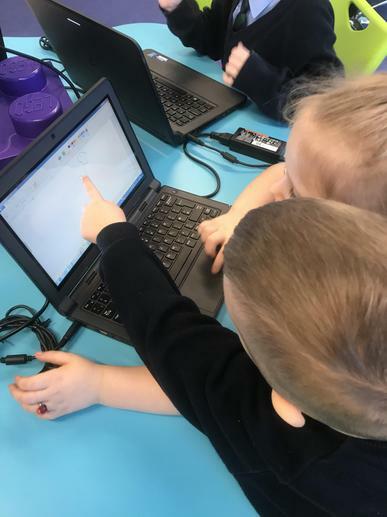 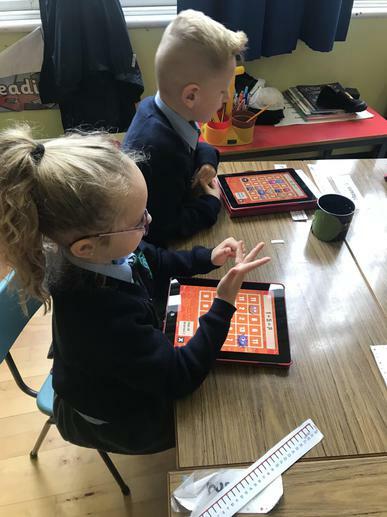 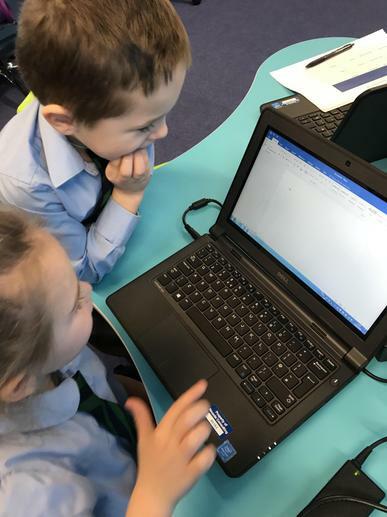 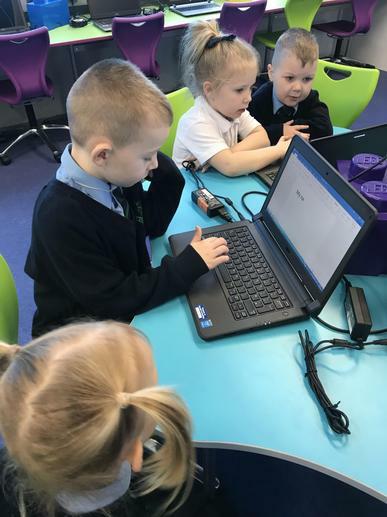 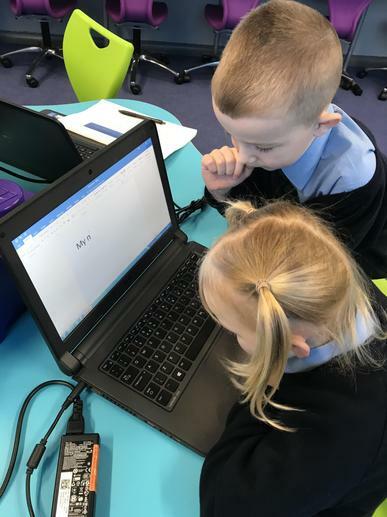 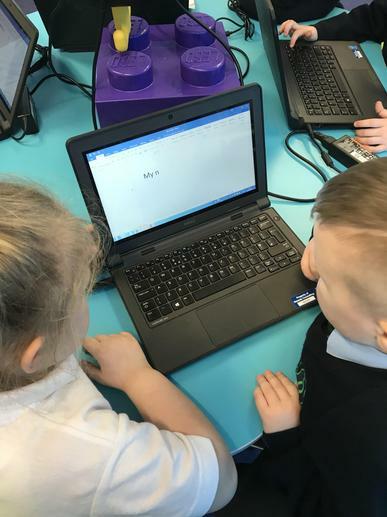 P2 love using our new ICT suite! 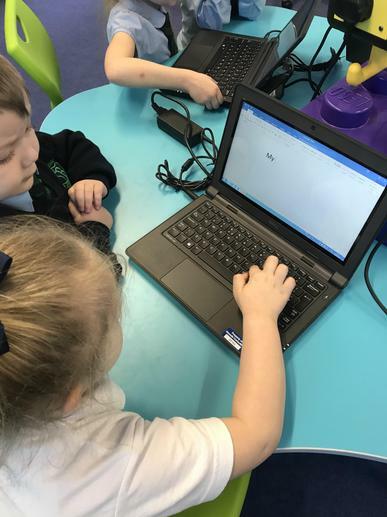 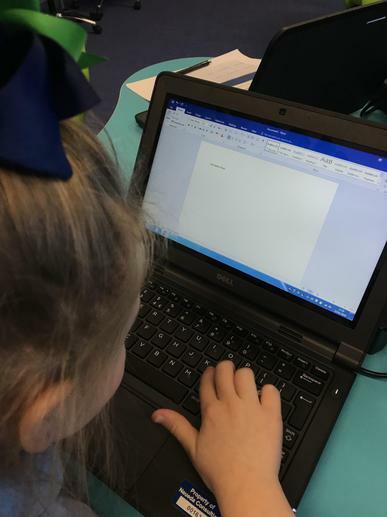 We have been learning how to use Microsoft Word and type a short sentence. 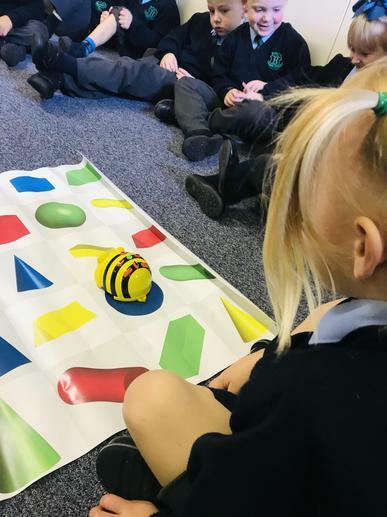 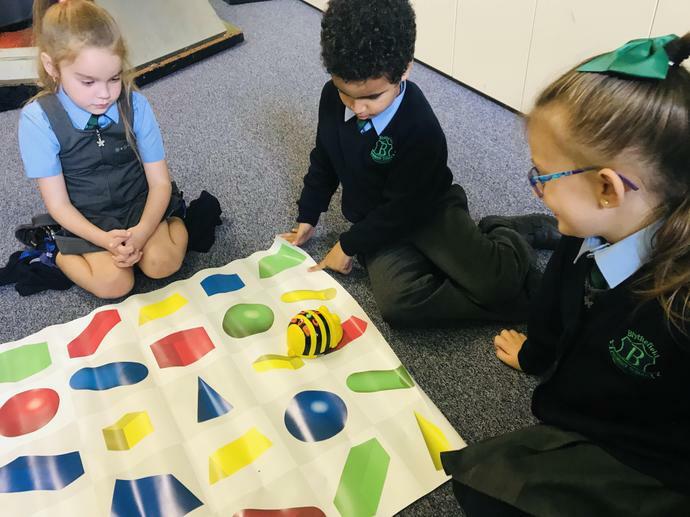 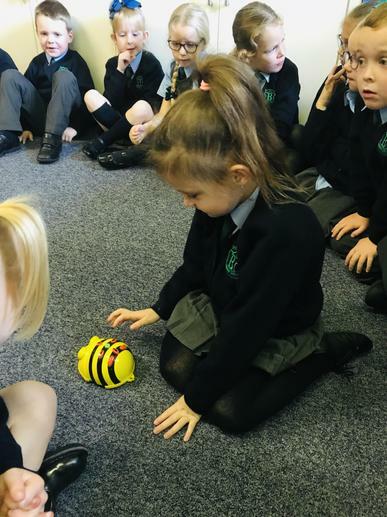 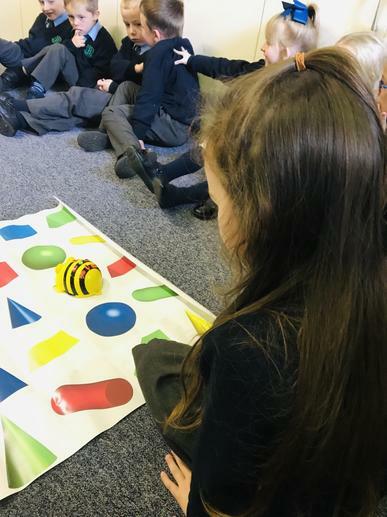 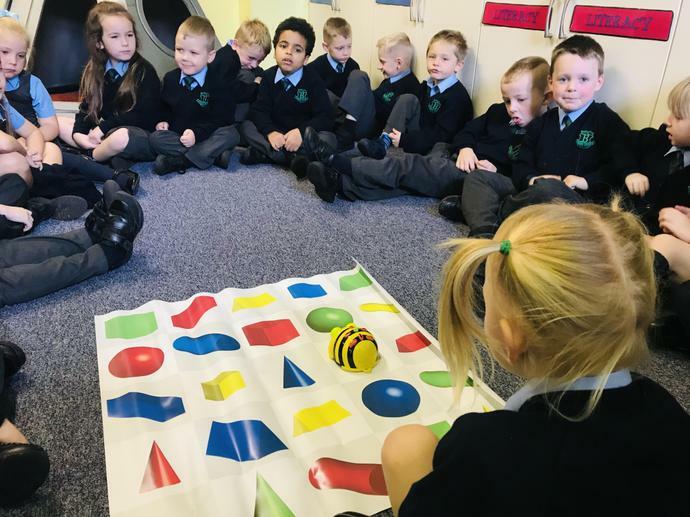 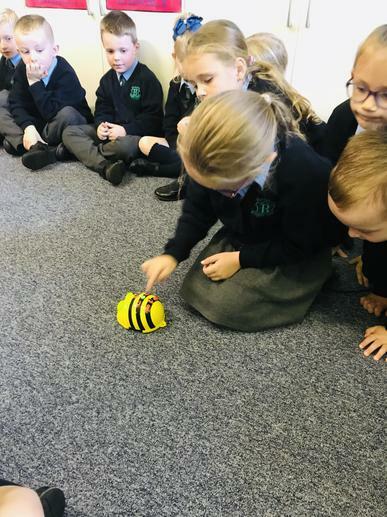 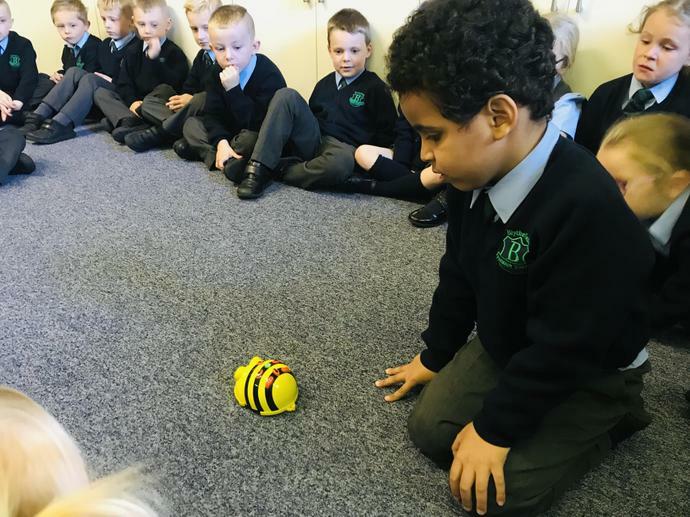 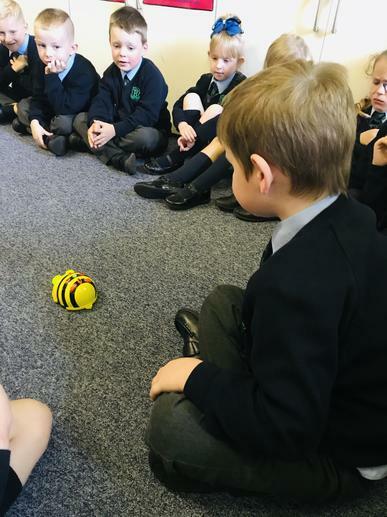 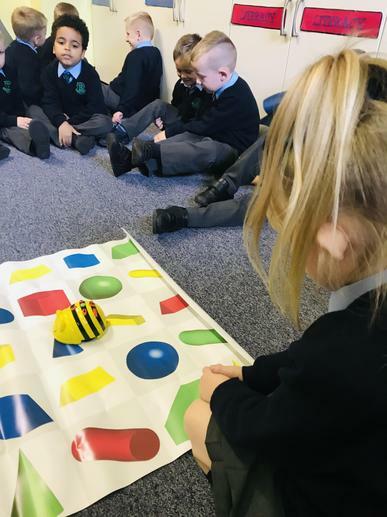 We enjoyed using the beebot today to input instructions and direct it on our 3D shape mat. 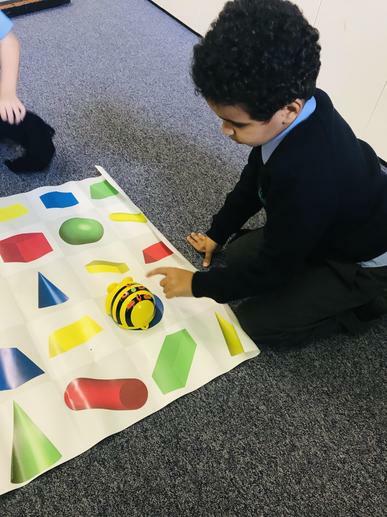 This has also helped us with our 3D shape knowledge! 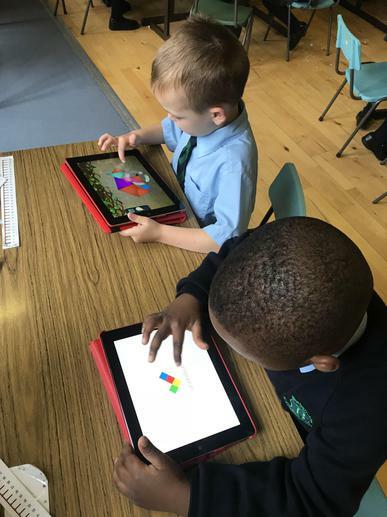 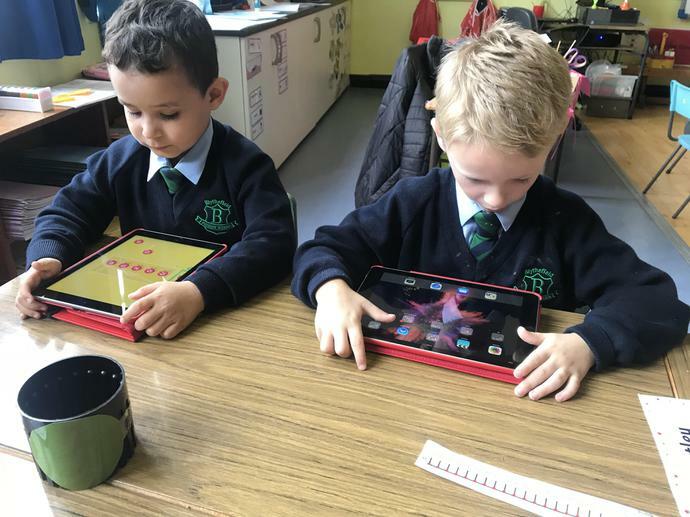 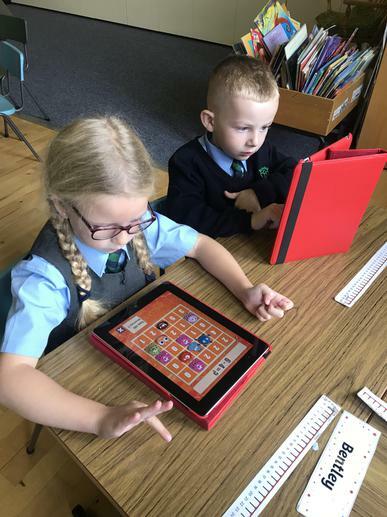 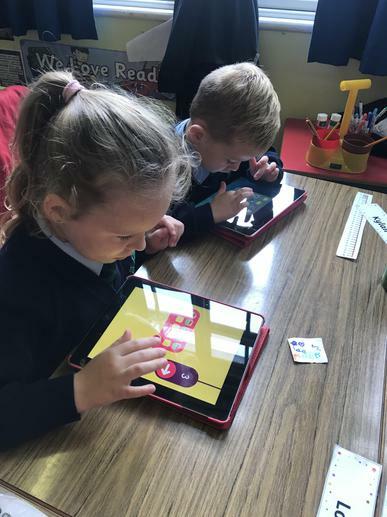 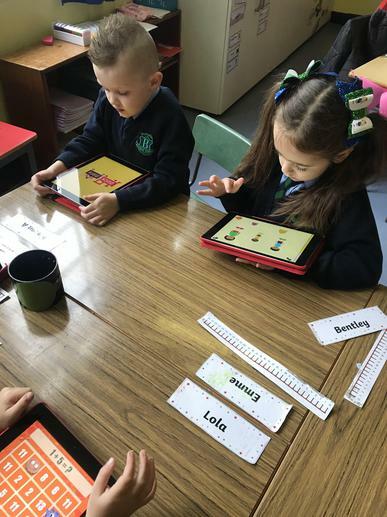 We enjoy using the IPads in P2 to help us with our numeracy knowledge. 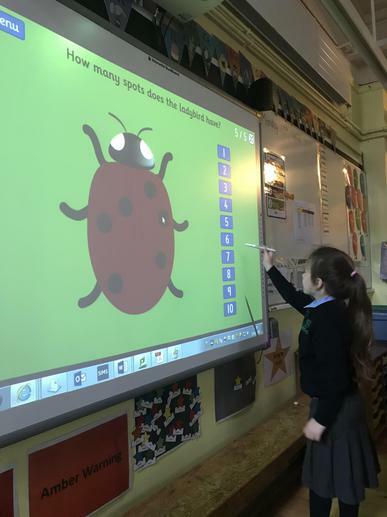 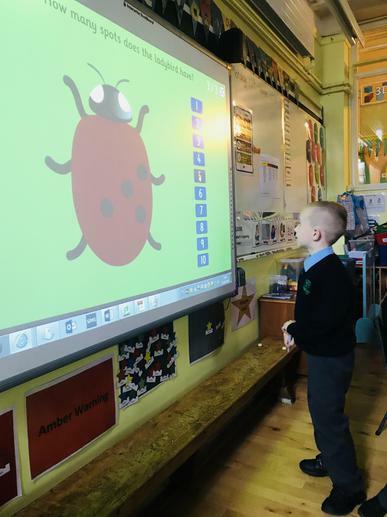 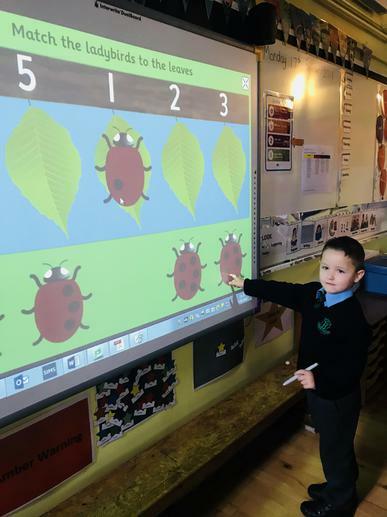 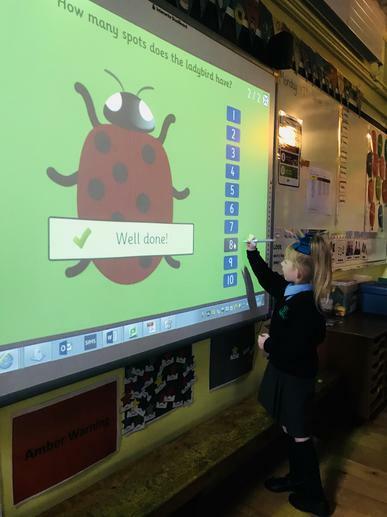 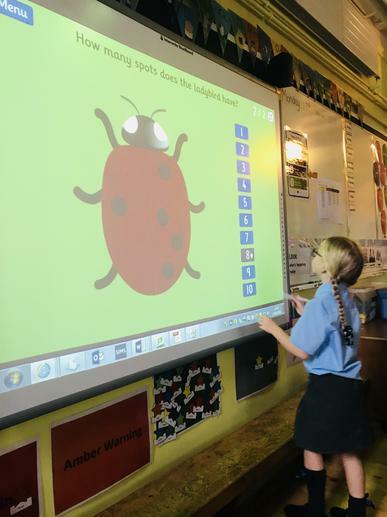 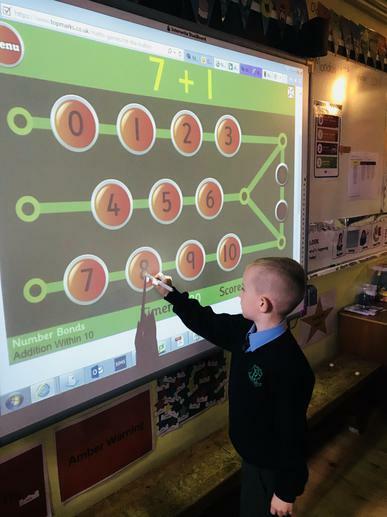 We have an Interactive Whiteboard in P2 and we use this a lot for our mental maths.